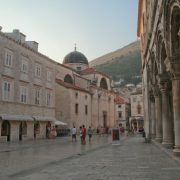 You are here: Home / Blog / Love System Festival a new entry to the Croatian festival season! 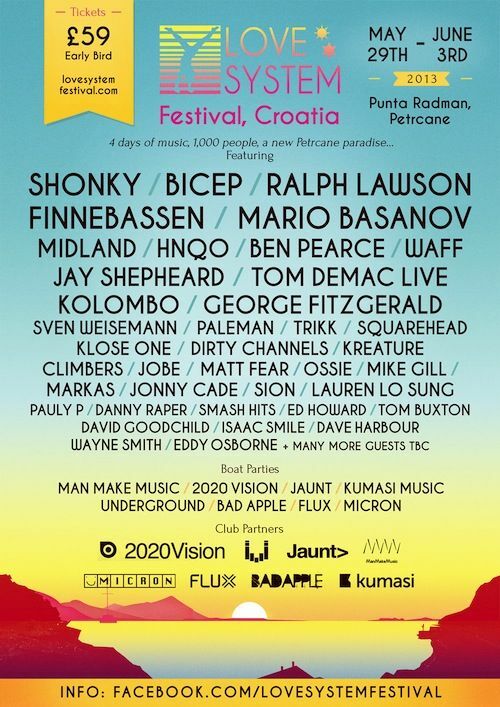 News reaches us that the already fantastic Croatian festival season – which features a whole host of events up and down the Croatian coast from late May to mid September – will have a new entry this year…the Love System Festival! 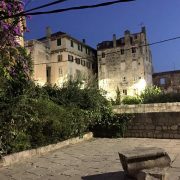 Love System (30th May – 2nd June 2013) will be taking place at something of a familiar location – the pretty little village of Petrcane, which is about 10km north of Zadar on the coast of North Dalmatia. However, Love System will be taking place in the never-used-before Punta Radman wood, which will see a maze of bars, stages and chill-out areas laid out in amongst the trees of the intimate site. 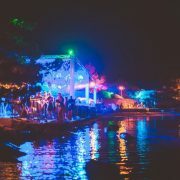 Best of all, the main stage will be set floating on the Adriatic Sea itself, offering up a unique way of partying the night away on the Croatian coast…not to mention taking it easy in the sun in the daytime. Much of the line-up has already been announced, with acts such as Shonky, Bicep, Mario Basanov, Finnebassen, Jay Shepheard, Ben Pearce and Midland all featuring on the bill. There is, however, many more still to be revealed – be sure to keep a close eye on the Festival’s Facebook page for all the latest announcements. 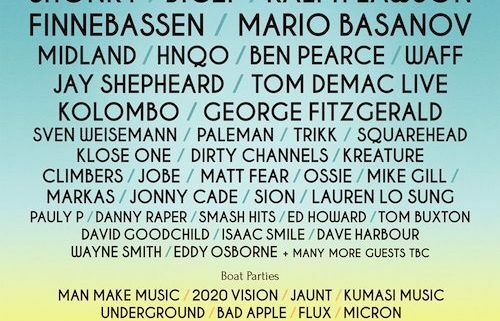 A festival in Croatia wouldn’t be a proper festival in Croatia without the boat parties! Love System will have their boats setting sail twice a day, with the bespoke parties hosted by some of the most esteemed labels and party brands in the UK – names such as Jaunt, Underground, Kumasi and Bad Apple. Although it’s officially a four-day event, there’s also a pre-party the day before the Festival starts on Wednesday 29th June, as well as the chillout day on Monday 3rd June. Tickets are being limited to just 800 in number to make it a unique event…and are being snapped up quick! Early bird tickets have already sold out, but there’s still opportunity to buy some in the second wave of ticket releases – they currently cost £79 and can be bought online. 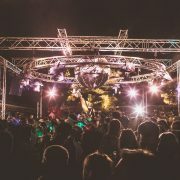 Love System looks to be shaping up to be a true connoisseur’s festival – with the beautiful and intimate setting, branded after parties, the opportunity to stay in luxury accommodation (just minutes from the site – but camping is also possible) and variety of travel packages available, it’s sure to be a great Croatian festival experience! We’ve got our own little guide on the Love System Festival – check it out for advice on travelling to the festival, as well as more detailed info about the event: Festivals in Croatia 2013 – Love System Festival. Otherwise, full details on the event can be found on the official Love System Festival website. https://www.visit-croatia.co.uk/wp-content/uploads/2013/02/love_system-1.jpg 707 500 annaz https://www.visit-croatia.co.uk/wp-content/uploads/2017/09/visit-croatia-logo5.jpg annaz2013-02-14 16:55:122018-11-21 11:08:03Love System Festival a new entry to the Croatian festival season!